We currently have seven sets of exciting embyos available. These embryos are sired by some of the top bulls in the Brangus breed; John Wayne, Lead Gun, New Direction, along with others. But the bull power behind the embryos is only half of the genetics, the donor cow like all the females used at Third Day Ranch are proven and have outstanding EPDs. 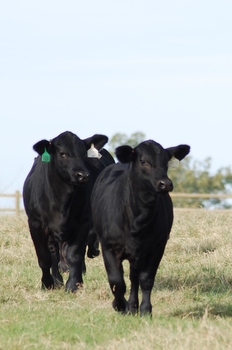 If you would like to learn more about these donors and sires you can view thier EPDs and pictures in the Donors and Herd Sires sections under the About TDR menu. More information will be posted about these embryos shortly. If one interests you call us at (936) 825-2339 and we can arrange delivery and services if needed.